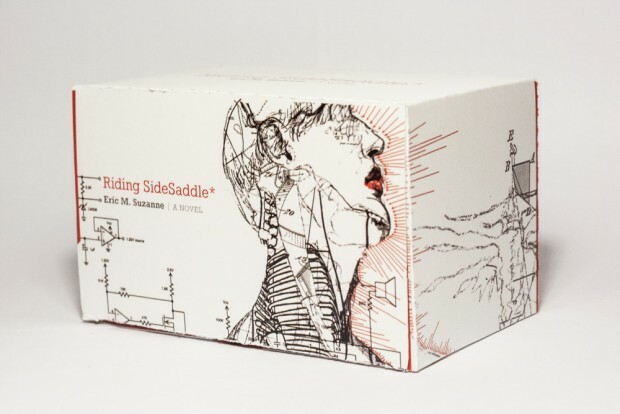 Riding SideSaddle* is not like most things you’ve read. On the surface it startles with its three-dimensionality—it’s not a spinebound book but a deck of cards, and you shuffle it before each reading. It’s a new, and wonderful, adventure each time, a story of outcasts, their caretaker, and the friendship and love they find with each other. It’s a story about the body and hybridity—based on the myth of Hermaphroditus—and it’s a story about magic and the slipperiness of categories. Available in physical format from Springgun Press, it’s also available for free online at OddBooks, a reading platform written specifically around the novel and its randomizability. It’s also open-source—free to use, adapt, remix, and incorporate into other pieces. I talked with Eric Suzanne, the polymath visionary behind this project, about innovations with literary form as well as some of the issues—body, gender, friendship, memory—at work in the novel. Read the entire interview at Michigan Quarterly Review. Let me start with two different ledes. 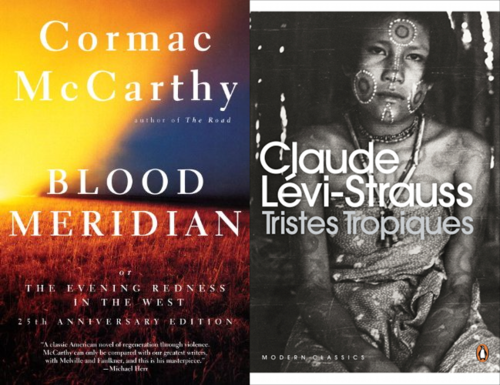 First, I love Cormac McCarthy, but I’m a little embarrassed of that fact. Second, every writer really wants to be an anthropologist. I mean, isn’t Cormac McCarthy a bit much, and aren’t we all a bit wary of the cowboy’s romance, awash in blood and ash as it were, a prevailing carelessness whose presidential poster child left us with a bitter taste in our mouths and confirmation that our capitalism is indeed late, that we are bivouacked here for the foreseeable future at the crumbling edge of our greed and haste? Isn’t the best thing a cowboy can do is fall in love and stay put, but don’t they mess it up every time? The thing about Blood Meridian is that it’s never a question why any of them are out there—call it fate, or call it, as the judge might, history—but the draw of the frontier is only a ploy for one’s own renunciations, for dismantling what has been received as the conditions of your life and conceiving of yourself, of the possibilities of humanity, in an altogether more fundamental—and thus truer—understanding. And isn’t this anthropology?